Glendale knitters and friends make prayer shawls and other items for babies, children, and adults. In 2007, Glendale’s prayer shawl ministry was featured during a Nashville news broadcast. In response to the publicity, the church received and filled requests for more than 200 shawls. The shawls carry prayers and God’s love to people who need assurance, comfort and healing. In 2008, Glendale hosted a prayer shawl knitting seminar with founders of the ministry. More than seventy knitters from middle Tennessee and as far as South Carolina gathered at Glendale UMC for the seminar and retreat. Several churches started or strengthened their knitting ministry. In 2009, Glendale knitters made scarves and baby sweaters for a missionary to carry to orphanages in Ukraine. The prayer shawl ministry continues, and the Glendale knitters have added baby items for layettes at Nashville General Hospital. 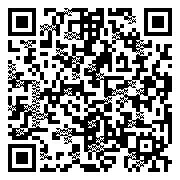 Scan the QR code below to add our contact information instantly to your smart phone. You can download a scan app for iOS, Android and Windows Phone devices in the App Store.